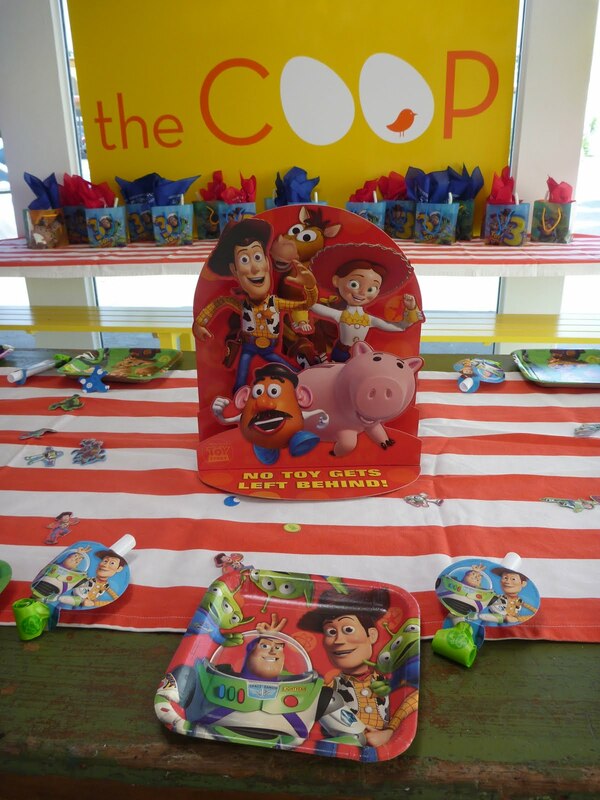 We are so excited about this new additional available at our COOP Parties! 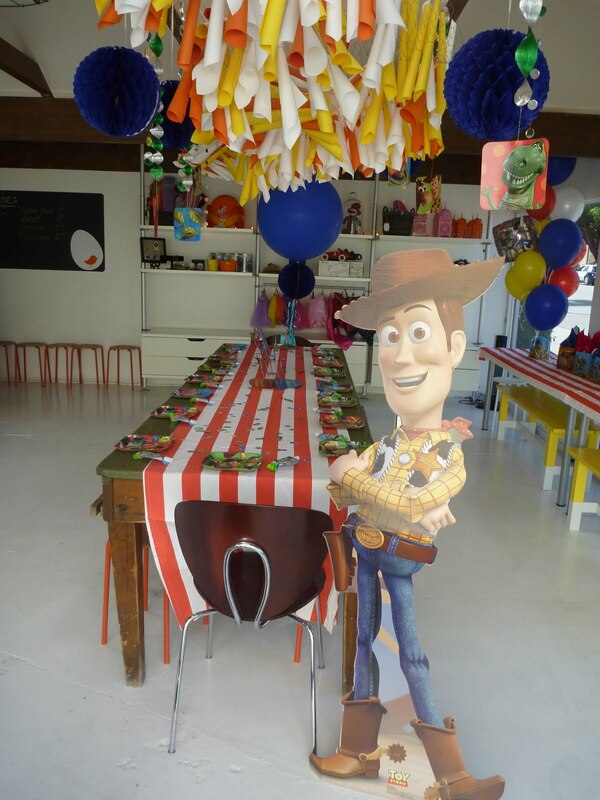 I got these GIANT balloons for my son Finn's party back in February and Lucinda and I just LOVED how they looked in the space/ at the party. 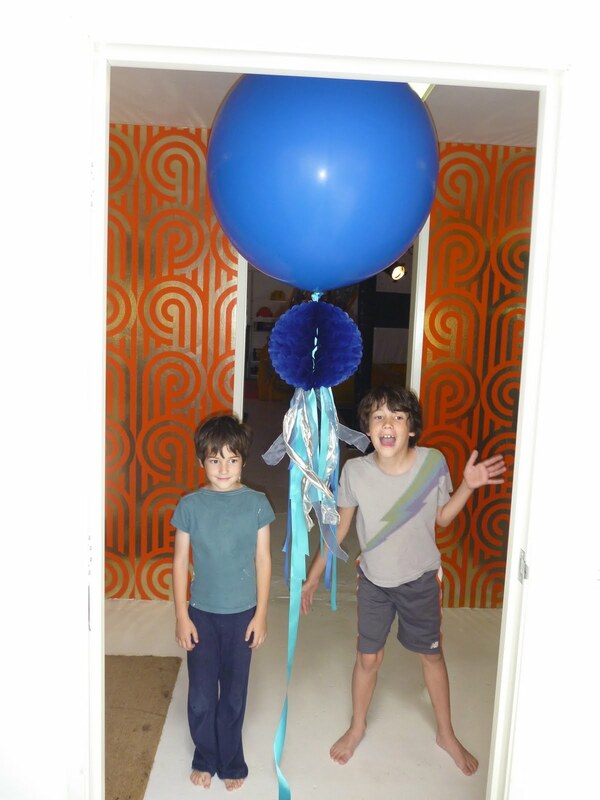 For his I had done big white balloons with some ribbons and hand made material scraps tied at the bottom to dress them up a bit. 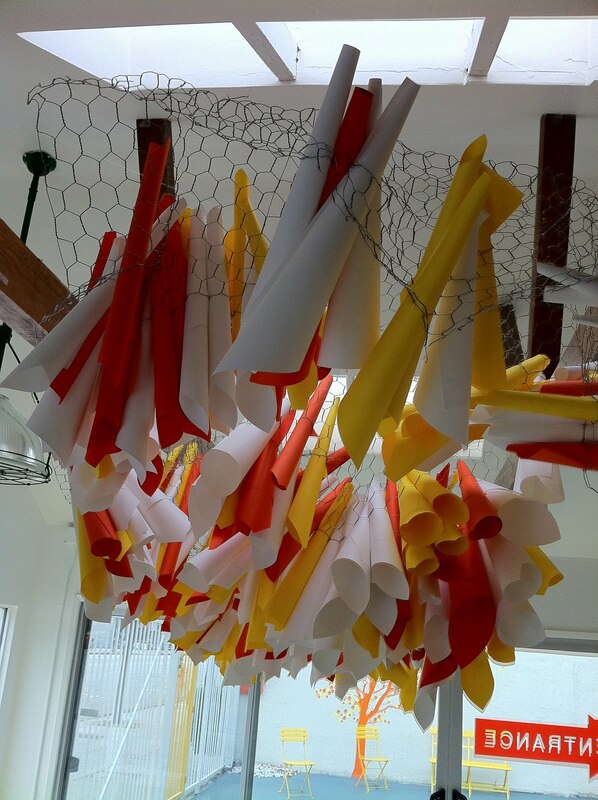 Since then -- we have been experimenting with the balloons and trying different ribbons and ways to jazz them up. We did a beautiful display of them --- red, orange, yellow, green, blue and purple... along our back table for our Wizard of Oz party (the rainbow, get it?) tied with beautiful rainbow ombre ribbons and attached with fishing wire --- so they looked like they were just floating above the table. Gorgeous. We loved. Anyway -- we have further jazzzed them up with the addition of paper tissue balls and loads of ribbons and garland and are now offering them for purchase for $25. We can even do clear ones filled with glitter! It's a GREAT addition to your party --- and we usually tie it to the birthday chair for a real impact. 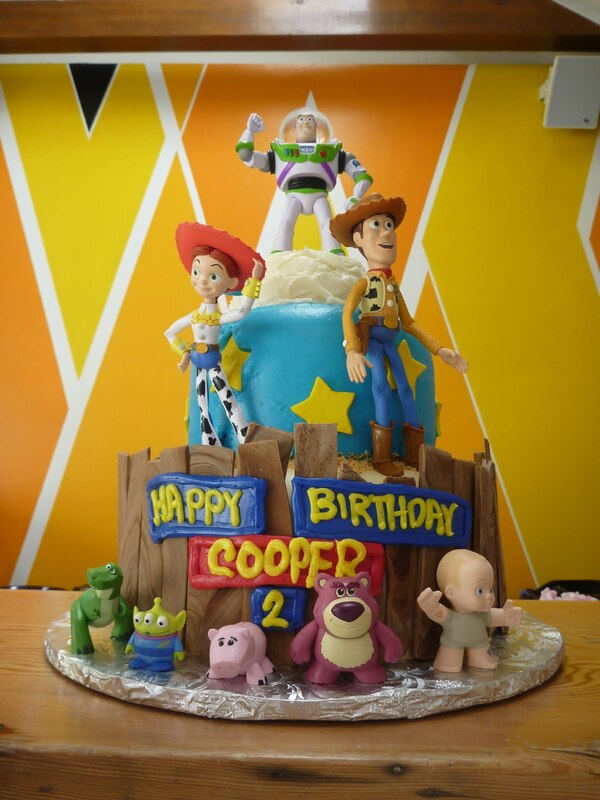 We obviously will customize colors, ribbons etc to your party theme or birthday child's wishes (favorite colors). 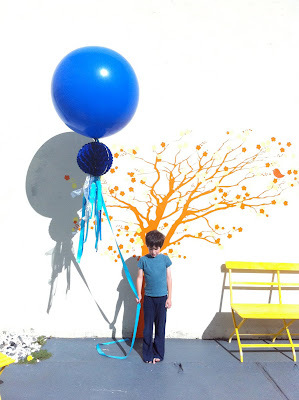 Kids ADORE them -- and it's yet another way us ladies at the COOP can be creative! And you KNOW we love those opportunities!!! Lucinda's friend had a gorgeous little Princess Party for her daughter at the COOP a couple of weeks ago... and we think it turned out really cute! Lucinda got these really gorgeous long pink capes with hot pink lined hoods that were so darling -- and rounded out the gifts with some long blond wigs, pink tiaras and white gloves for all the little ladies. The gifts were fabulous... and the girls really loved them. We did princess pink flowers, and lemonade with fresh cut strawberries and a couple of our giant pink balloons to make it extra special for the birthday girl, and of course Julie from blue cupcake provided delicious and gorgeous cupcakes for the event! 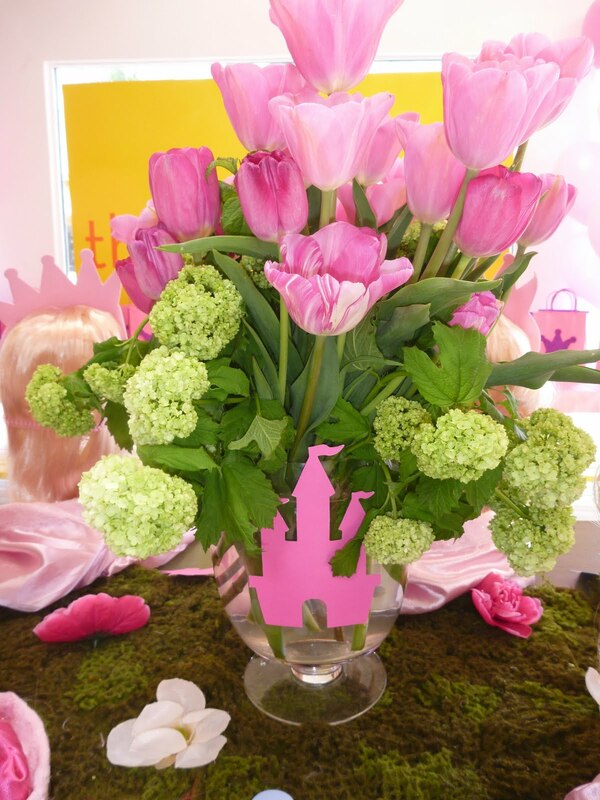 It was a beautiful day for a princess extravaganza and everyone had a royally good time!! Did a cute Toy Story 3 party yesterday for the loveliest family -- and the birthday boy was named COOPER! Cooper celebrating at the COOP... love it! We have done a Toy Story/ emphasis on Jessie party in the past -- and that one we went a little more out of the box with the gifts -- Cowboy Hats, Bandannas, stuffed horsies.... but this one was a straight up Toy Story Party. 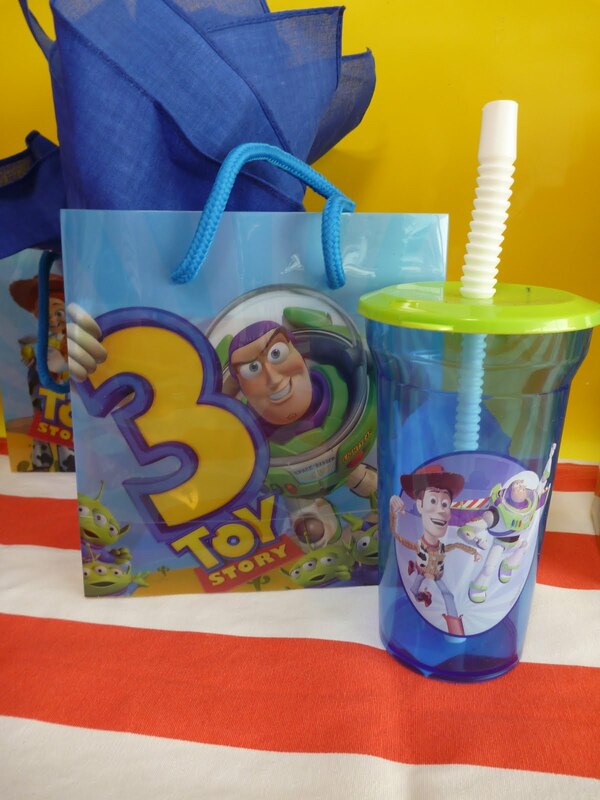 So we did the branded gift bags and filled then with goodies that covered the whole crew! A Bandana (a la Woody and Jessie), Sheriff's badge (Woody), Buzz Lightyear glider, 3 Army Men (like the guys in the movies -- I just LOVE how brilliant the Pixar people are in their making those guys walk with their legs stuck together by that piece of plastic at the bottom of their feet! Genius! ), a ring (a variety of characters) and a nice quality sippy cup with an image of the whole gang. Woody was placed by the door to greet the guests, and mom and dad brought a super fantastic cake from Hansen's that really brought the theme home! 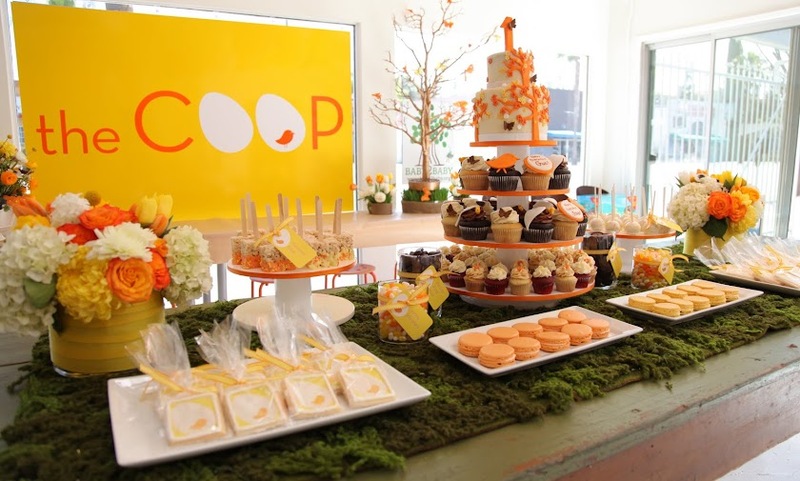 It was a great party and I think COOPER had a blast at his COOP Party! Check it out!!!! 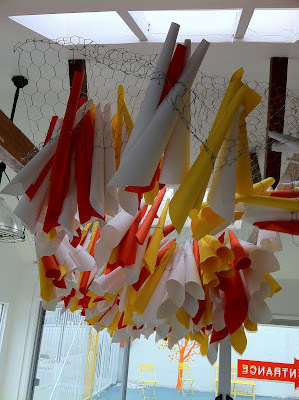 Lucinda and I have created what we think is the most fabulous, out of the box, super COOP-ie ceiling sculpture in our front room above the table. No more run of the mill balls for us! We wanted something ultra cool and modern -- and thought doing something with chicken wire (get it!?) would be incredible. We suspended the chicken wire which we shaped into a sort of undulating wave above the table -- then we used some paper we had left over from some COOP flyers (upcycling!!) and simply rolled them and slid them into holes in the wire. Originally I was thinking of filling all the holes -- but Lucinda had the brilliant idea to leave some unfilled -- which gives it a nice airy feeling. Plus then you can see the chicken wire -- which makes it not just a spectacular sculpture ... but a very COOP like spectacular sculpture! We love it -- hope you do too!